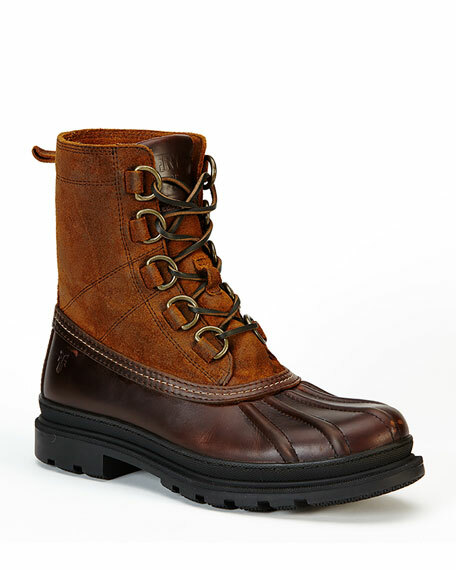 Frye "Riley" boot with waterproof leather and suede upper. Approx. 1"H heel; 7.8"H shaft; 13.5" circ. Dyed sheep shearling (Uruguay) fur lining. 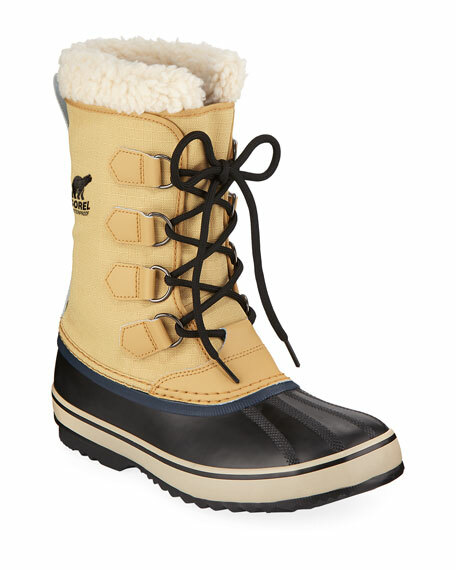 D-ring lace-up front with rawhide laces. 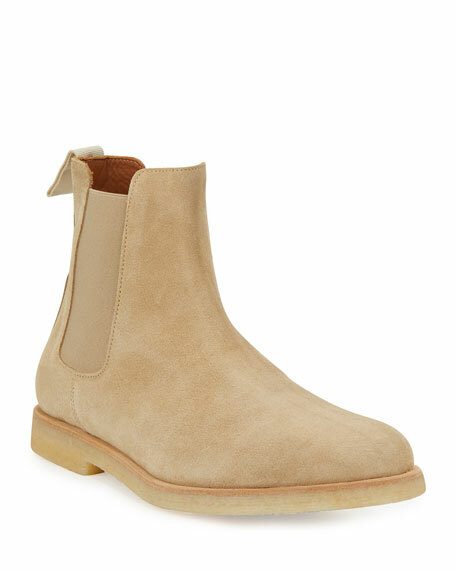 Common Projects calf suede Chelsea boot. 1" flat heel. Approx. 5.5'"H shaft. Round toe. Gored side insets. Golden foil article stamp. Looped backstay. Rubber crepe sole. Pull-on style. Made in Italy. 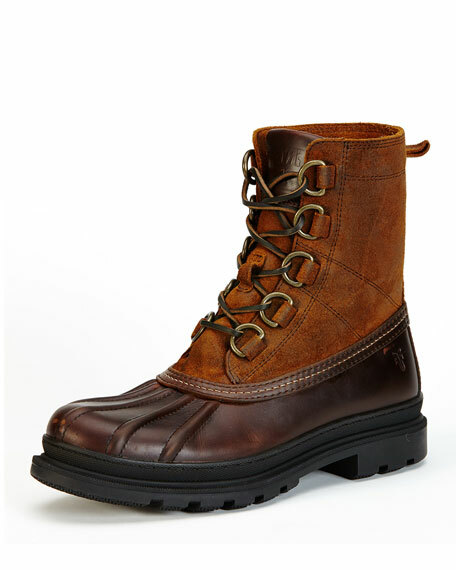 Sorel "1964" boot in waterproof waxed canvas. Sherpa pile cuff. 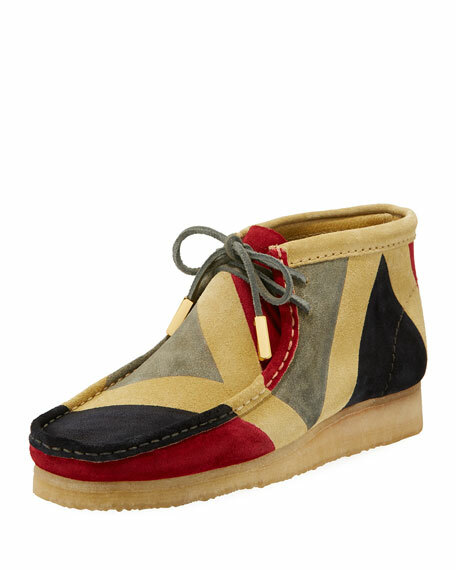 Round leather duck toe. D-ring lace-up vamp. Pull-tab at backstay. Logo-patch at side. Manmade lining. Herringbone vulcanized rubber outsole. Imported. 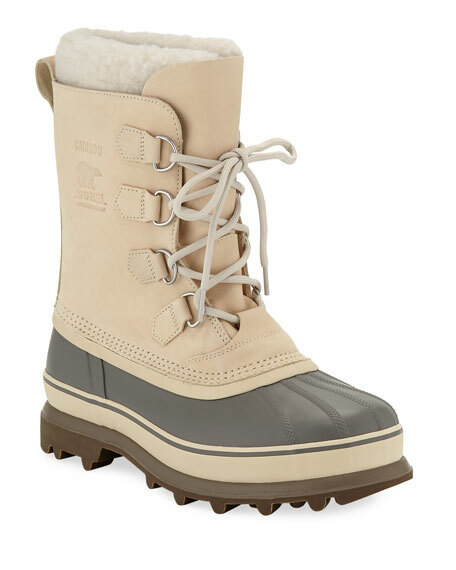 Sorel "Caribou" boot in waterproof nubuck leather. Faux sherpa (polyester) pile cuff. Round leather duck toe. D-ring lace-up vamp. Pull-tab at backstay. Logo-patch at side. Manmade lining. Herringbone vulcanized rubber outsole. Imported.